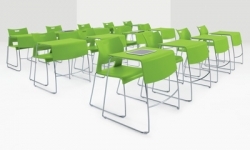 Easy to configure, stack, and store to turn any space into an effective learning environment. 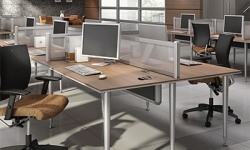 Electric height adjustments support an active and healthy work style. 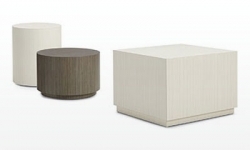 Multi-purpose tables with an optional flip-top surface that can be nested for easy storage. 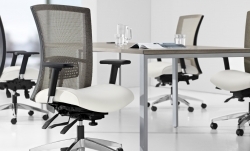 Raise the standard in executive workspaces with a range of quality boardroom tables and accessories. 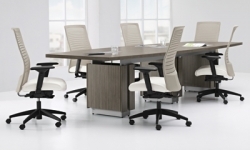 A contemporary collection featuring an all wood veneer construction for any office environment. 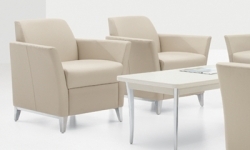 Choose from freestanding or shared leg configurations for boardroom, classroom or presentation applications. 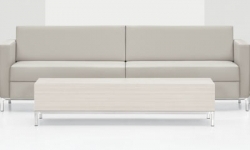 A rich, two-tone appearance achieved through the integration of wood veneer and laminate. 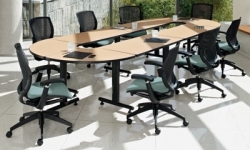 A complete selection of meeting and conference tables to meet your business needs. 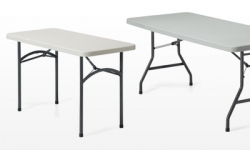 Bungee cords allow for quick and easy configuration of table tops and legs without the use of tools. 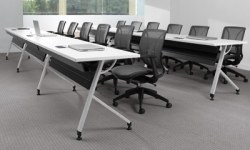 The versatility of Bungee, now available with power and data management for semi-permanent applications. 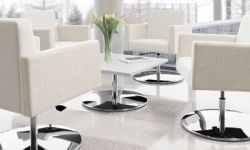 Enhance collaboration with retro-inspired pedestal-based tables. 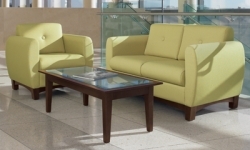 Glass and hardwood veneer topped tables tailored for a sophisticated look. 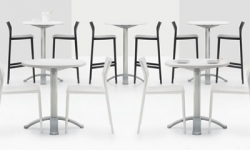 A flexible modular system of linking and freestanding tables for evolving educational and office needs. 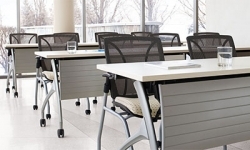 High pressure laminate tables that are ideal for reception areas.